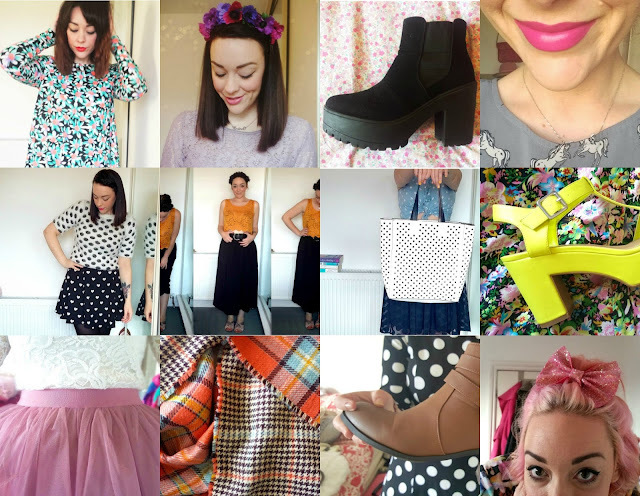 so i said i wasn't going to give you a round up of my top twelve outfits from 2015 in a bid to not look back and only look forward, but then - reading through a lot of other outfit round up posts back on new years day, i got a bit nostalgic. last year was a really weird one for me - style wise, in that it was the year i think i ~finally found my groove. don't ask me what that groove ~is exactly, because i'm not sure i can actually put my finger on it, but there was certainly somewhat of a style evolution with a very "out with the old, in with the new" outlook on my wardrobe. i'd lost some much-needed weight and felt more comfortable in my own skin than i had done in a long time, plus thanks to the introduction of lady d in the summer, and a neon hue to my head in the fall, i was suddenly learning to embrace a whole new colour palette - or, lack there of, i should say. black and white were frequented a lot more often late in the year, and i have to say, it's a trend i can see me continuing into the new year. hands up ok, i give in: it's just so damn ~easy. the discovery of the swing dress: this neon orange and teal one was the one that started it all. since this one i have nabbed another three or four, and they're just ~so comfortable and flattering, and really great for days when you're feeling a little bit frump; taking inspiration from my favourite city in the name of a fashion challenge: this really had me thinking about the things i love about london, and how i could incorporate those things into my wardrobe. the lilac lace number is still a favourite; new shapes and levels: i'm not a body-con fiend usually, but when the tube skirt is ditzy floral and only two quid, you give it a go. 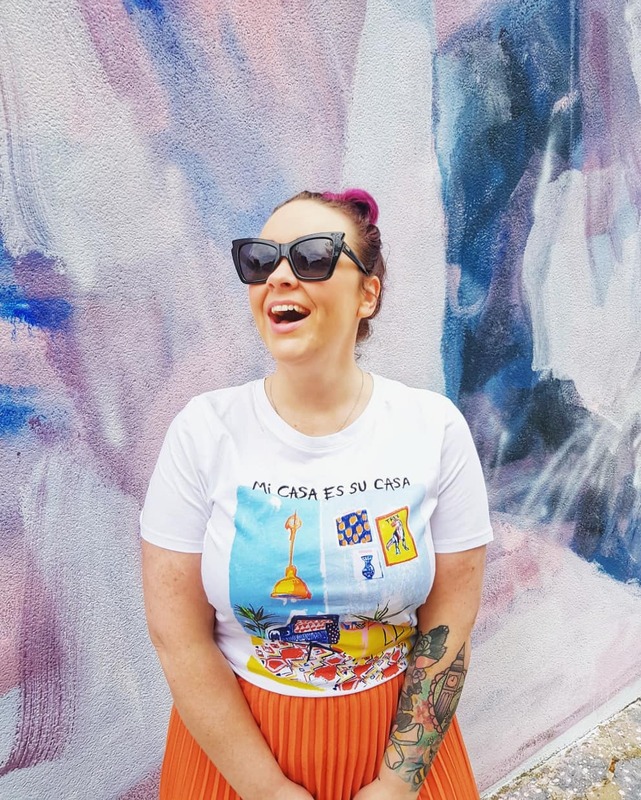 i paired it with pink lace and sky high heels and wore it to spain, and it was comfy to boot (pun intended); remember when i dressed like a unicorn? yeah. that was amazing too. i adore that dress, it's just a shame it's all a bit shapeless. i dabbled in monochrome back in the middle of the year, and rocked a lot of polka dots. not a lot has changed, really; in the summer i threw caution to the wind and bared my midriff in the name of a cool breeze while at bst festival. taylor might have been a let down, but my outfit was not; the bare midriff and midi-length skirt combo was so successful i stuck with it through the summer, thanks to a fab find from apricot. so fab in fact, that i grabbed it in both colours. whoop! and can we just talk about the neon platforms that kept my summer looking bright? those things were a tenner in the sale, and never a regret. i still love everything that's impractical about them. then there was the award-winning tulle. that skirt is easily the prettiest thing i've ever owned, but also the one thing that makes me feel like a disney idiot when i wear it. too bad it won me best dressed on the night, eh; this fall i was all about the orange tartan. this blanket scarf was nabbed on a whim when my hair was more of an apricot shade, as the perfect complimentary accessory. so my hair might be pinker now than it was then, but there's no doubting the scarf's worth in the world; and those boooots. how on earth did i ever get by before them? i also have these in both colours, but there's no denying the tan pair are this year's stand out winners as far as my feet are concerned. but the number one piece of evidence of my stylevolution this year? my hair. it might have started out a bit dodgy, and it's certainly going to take a lot of work keeping it where i want it, but after 10+ years of the same hair cut and colour, i have never been so happy with how my head looks. especially with a glitter bow in and a pretty dress on. so, hip hip hooray for the evolution my head's had this year, if nothing else.